More South Koreans are using Naver Corp.'s group-interaction service BAND and Instagram, although Facebook is still the most popular social networking service platform in the country, a survey showed Tuesday, signaling a shift in the local SNS landscape. According to the survey conducted by Digieco, an economic research institute run by mobile carrier KT Corp., and advertising agency Nas Media Corp., 73.8 percent of some 2,000 respondents in all age brackets used Facebook in 2016, slightly down from 77.1 percent from a year earlier. The rate of Twitter users also dropped from 22.1 percent to 14.7 percent in the same period, the survey showed. The survey, meanwhile, said 40.1 percent of the respondents used BAND services this year, up from 32 percent a year earlier. The user rate of Instagram, owned by Facebook, also jumped from 16.7 to 28.1 percent in the same period, the survey showed. "More people continue to use SNS," said a KT official, noting that the most preferred SNS platform keeps changing. By age group, those in their 40s and 50s mostly used KakaoStory, a photo-sharing service operated by Kakao Corp. which can be shared with only authorized acquaintances, it said. 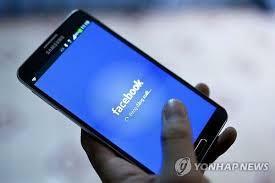 While younger users in their teens and 20s chose global SNS brands, such as Facebook and Twitter, the survey showed. The survey also showed that 84 percent of the respondents used SNS through their mobile devices while only 1.5 percent used personal computers. KakaoTalk, a free mobile messenger operated by Kakao with 35 million local users in the country of 50 million, still dominated the mobile messenger market.